In our issue last week, we published a story titled “Mafabi Takes on Wamai as Mbale Rejects Degazettment of Municipal Forest Reserve.” In that story, we reported that residents, accompanied by some legislators from the Elgon region, had joined the Budadiri West MP, Nandala Mafabi, to reject the proposal to degazette the Mbale Municipal Forest. On Wednesday this week, a group of residents led by Hassan Mangobe and Suleiman Mude stormed the offices of Mbale Municipal Council and the office of the Resident District Commissioner in protest against Mafabi’s involvement in municipality’s affairs. “Nandala should leave the issues of Mbale for Mbale and focus on the affairs of his constituency,” said one of the protesters. The protesters claimed that Mafabi had crossed boundaries. “His constituency [Budadiri West] has problems that he should be attending to instead of involving himself in Mbale Municipality’s affairs,” another resident said. 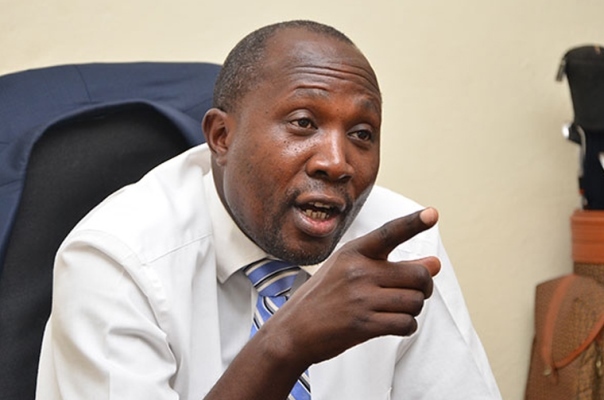 Mafabi, while addressing journalists recently, blamed Wamai for crippling the development of Mbale. “We shall apologize to you because you can produce a child but you cannot produce a heart you may think that he has a good heart yet he has a bad one” Mafabi said then. “The worst performing municipality in LC1 polls in FDC was Mbale yet we have the mayor, MP and Division Chairperson. Why did we do badly? These people where there is nothing to eat, they don’t come,” he said then.